Depending on the travel objective, the version of IELTS will differ. There is an Academic version and a General version. Check out the available IELTS Test Dates and Locations. Choose the one that suits most appropriately. Keep ample time for preparation too. 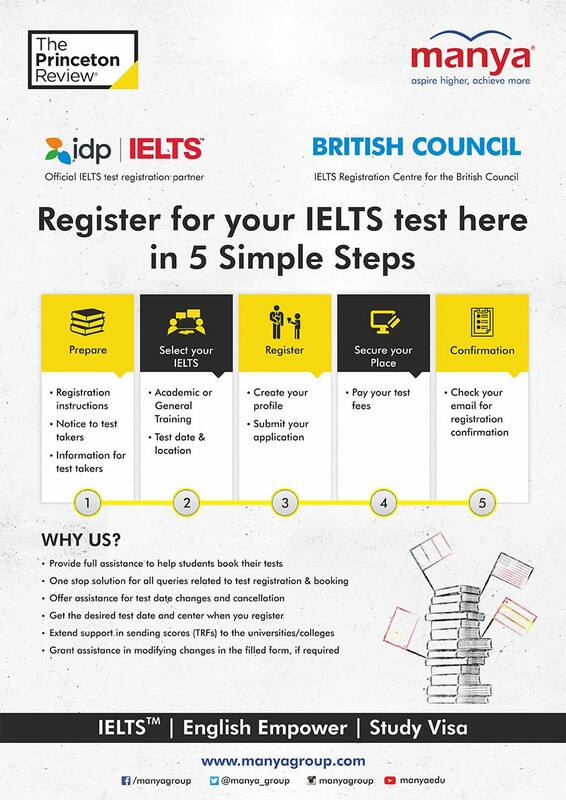 Register for the chosen IELTS test date and venue. Register and make the payment online or submit the printed copy of the application form to the test center. Remember to provide a copy of the valid document of identification and this same document will have to be presented at the test center on the day of the test. On completing the registration, a confirmation will appear on the computer screen. Print this and bring it on the day of the test. The confirmation will also be sent in hard copy or to the e-mail address provided in the application form. Our experts will provide assistance through the entire process of registering for the IELTS.